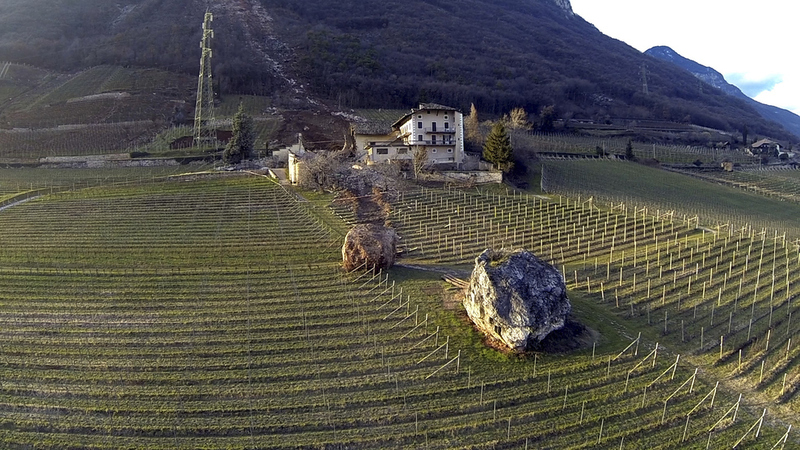 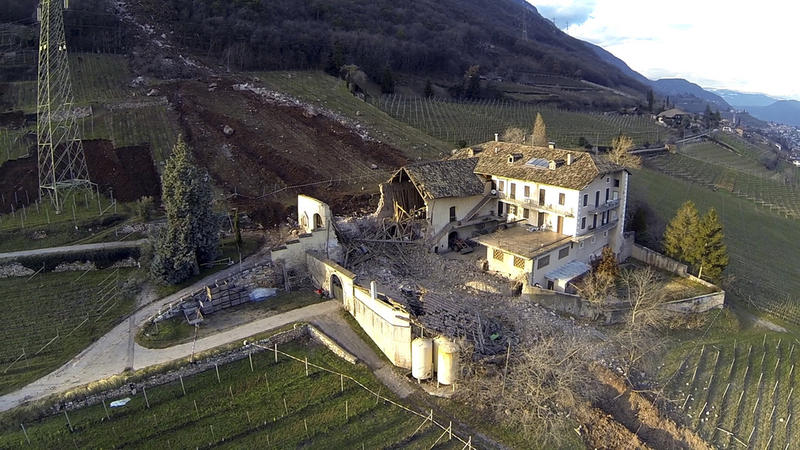 On January 21st, an enormous rock narrowly missed an Italian farm house, destroyed a barn, and stopped in a vineyard at the property in Ronchi di Termeno. 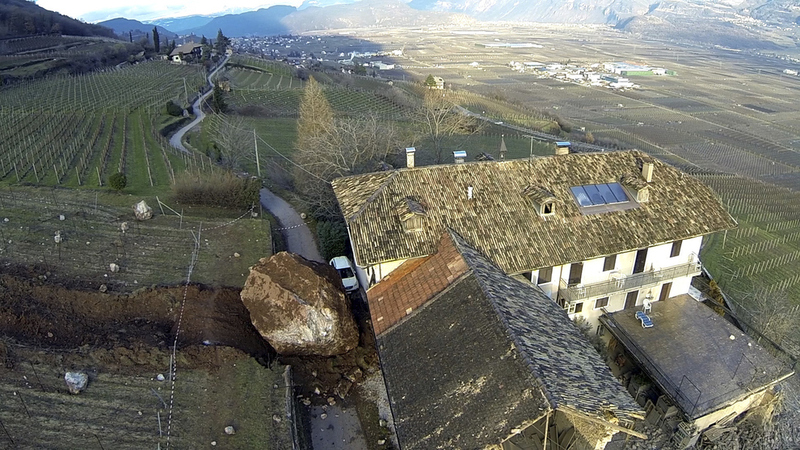 A second boulder stopped just feet (about a meter) behind the traditional stone farmhouse in the rocky region of Alto-Adige. 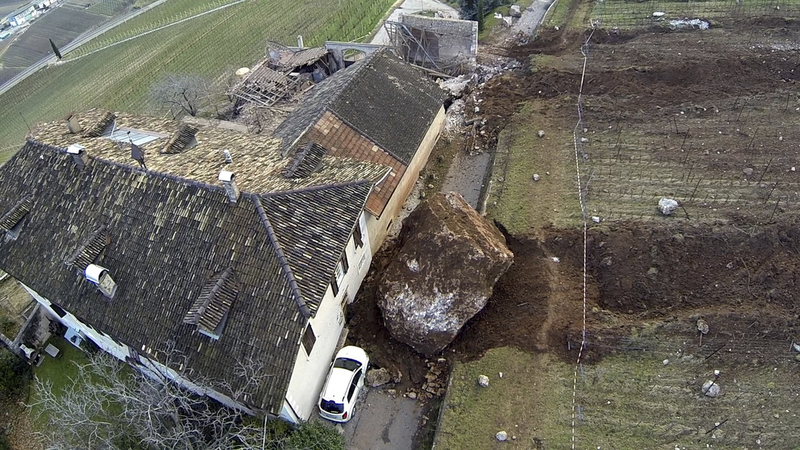 The family living there was unharmed in the incident. 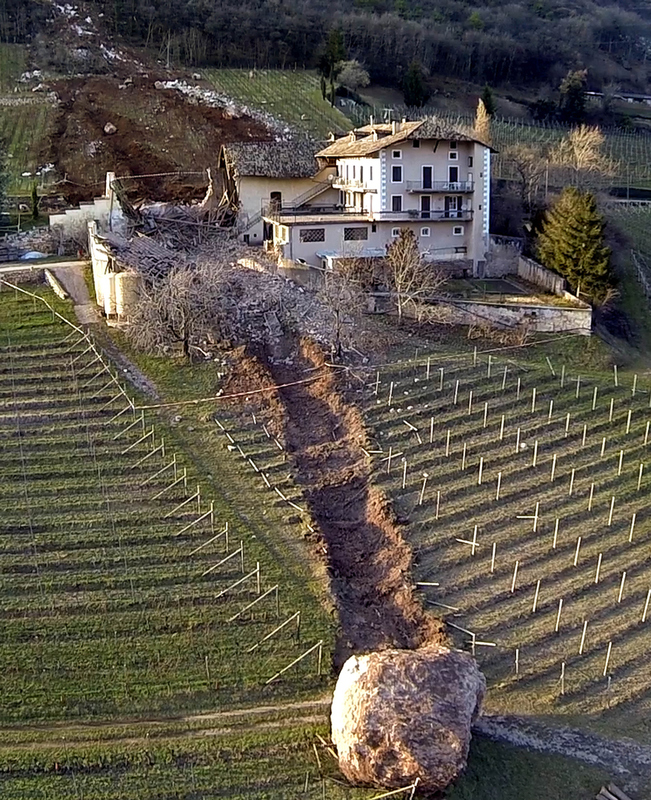 Photos by AP Photo/Markus Hell.